We watched the debate with Millennial voters. Millennials look to be a key factor in this election, but many of them are not enthused about either candidate. 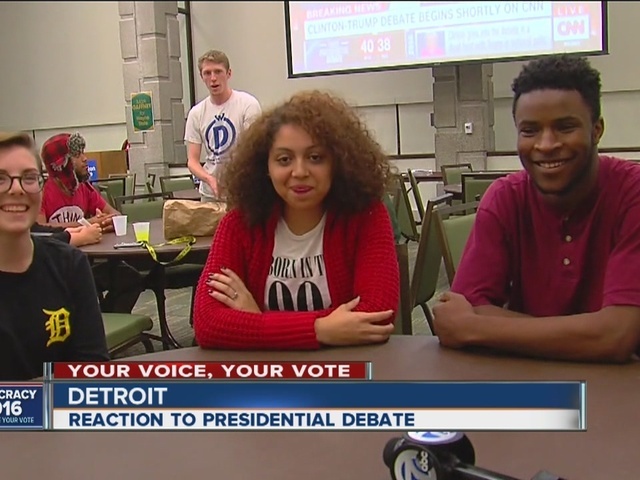 A group gathered at Wayne State University to watch the debate. Many of them will be voting in their first presidential election, and they don't like their choices. 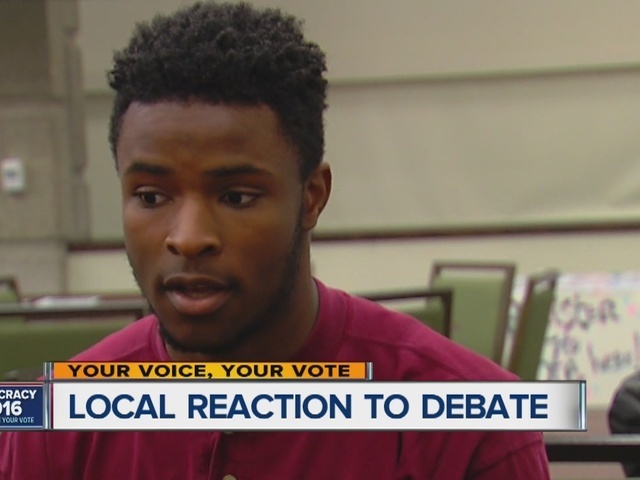 "They just really have to show a commitment to the millennial generation and say that these are who we're fighting for and we're not just using them for votes," said Mitchell Bonga. "I think almost this election it's kind of like you're voting for who you don's want to be president," said Michelle Gardner. Young voters we talked say the debate will not effect how they will vote.